I've been enjoying Go Back Spouses a surprising amount, and it's one of the only shows I'm watching among the current pool on-air. It started off because I enjoyed the sense of humor and wanted to see the relationship rekindle between our time-traveling couple, played very fittingly by Jang Nara and Sohn Ho Joon. But the more I watch, the less enamored I am with the romantic story behind our main leads and the more I'm watching purely for the heartfelt family moments. In fact, despite the title of this post, I'm really not in it for any of the romance (especially given the high likelihood of my current ship not winding up anywhere). What I want to see more of is the tragic past between Jang Nara's Jin Joo and her mother, whose storyline never fails to bring me to tears, as well as any of the many thoughtful family relationships depicted. This wasn't a show I was even remotely interested in watching, until I learned that it comes from the director of Nine and Queen In Hyun's Man, which are two of my favorite shows ever. With that said, episode 1 completely won me over, and really made me believe in the power of a good director in making a show go from middling to grand. I love the combination of quirky yet majestic that Bride has managed to seamlessly combine, and I even find myself surprisingly won over to both lead characters. They're not actors I would ever pick to watch, but Shin Se Kyung and Nam Joo Hyuk seem to really be putting their weight into their roles here and are a winning pair so far. All in all, a very solid first outing for Bride, which has me excited and eagerly anticipating what's to come. 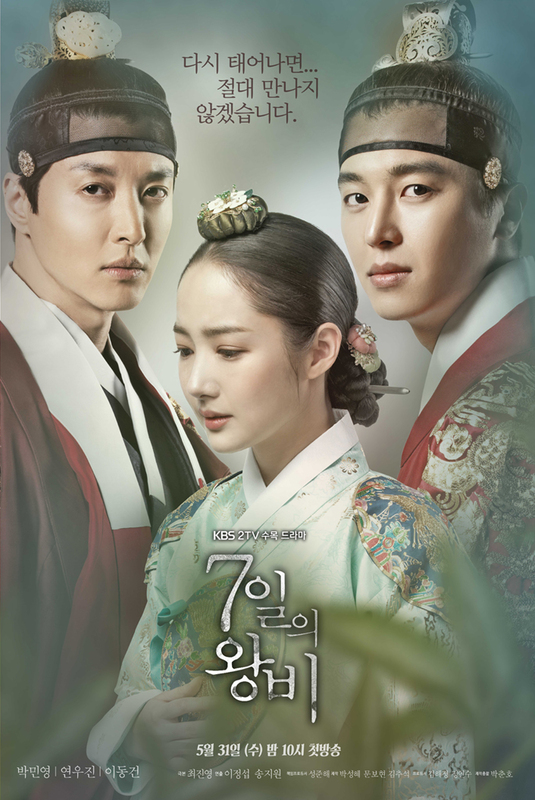 The only recent drama that I'm live-watching right now is the tragic sageuk Queen for Seven Days. 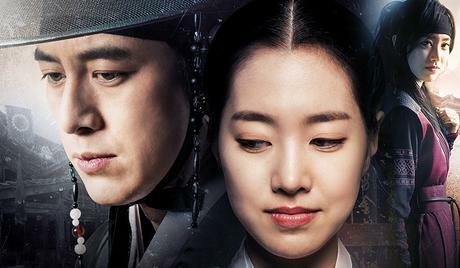 A large part of why I initially watched was because I'm still trying to find a romantic sageuk that can top The Princess's Man. So far, I give credit to Queen for having a similarly fast-moving pace, a strong heroine and some epic lovers-separation and reunion scenes, but ultimately for me it doesn't even come close to matching TPM. I'm just not on board the OTP ship, and my sole reason for continuing to watch is the riveting Yeonsangun, whose character and performance have me completely swept up and wishing against history that he could face a better ending. It's rare to find a show that balances a likable and intriguing set of leads with an equally interesting and surprising plot. But that's what This Week My Wife Will Have an Affair artfully achieved, which explains the fair amount of positive reviews it's garnered. This Week hooked us with the did-she/ didn't-she humor-filled premise, but then pulled out something more meaningful, which was a balanced look at marriage and human relationships. As someone who went in with zero expectations, I was very pleasantly surprised by what I got, and this stands as one of the few shows I completed in 2016 and enjoyed all the way through. Unlike its predecessor You From Another Star, Legend of the Blue Sea isn't the sort of drama to immediately hook you in. 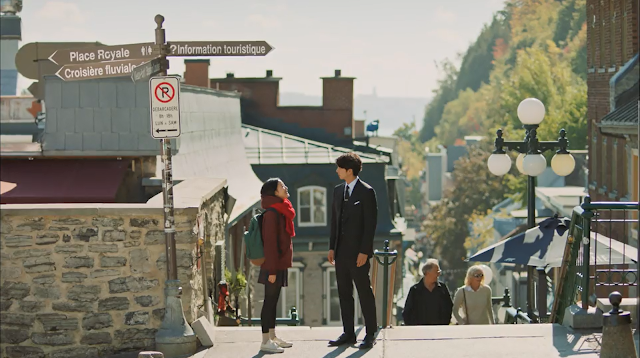 It's more reminiscent of the writer's previous works (Queen of Reversals comes to mind), which take a handful of episodes to fully drop in its narrative and work its characters' magic on the viewers. 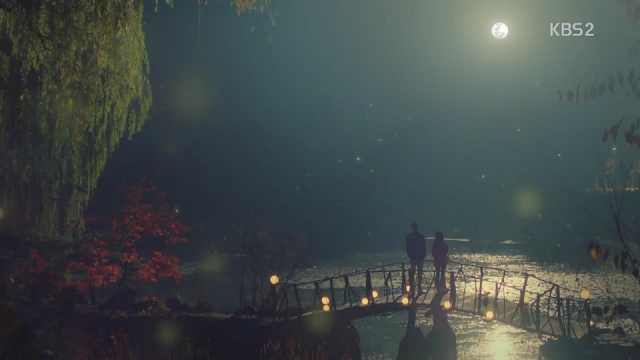 Thus, while I remained ambivalent on the show at episode 3, at episode 10 I can say I'm fully 100% invested in watching Heo Joon Jae and our resident mermaid Shim Chung (and even more so their Joseon counterparts) get the happy ending they deserve. There's a total alchemy to this show, which has swept me up and makes me feel for the moments, both grand and small, around its star goblin. 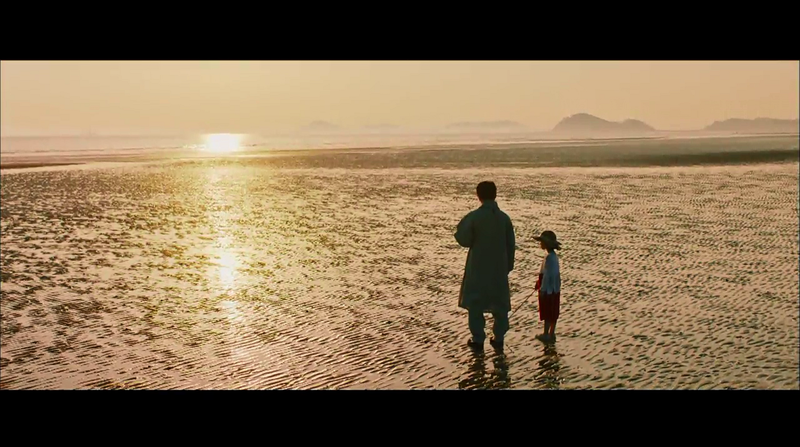 Gong Yoo has never been better, and what a role this is, with plenty of pathos and humor up for him to showcase. The other characters, from Eun Tak to the Reaper and Sunny, are also more or less likable and interesting in their own way, but there's no question that this is the story of one man and his quest for love and a perfectly human ending. I know it's been quite some time since my last post - but that certainly isn't because I'm not watching. 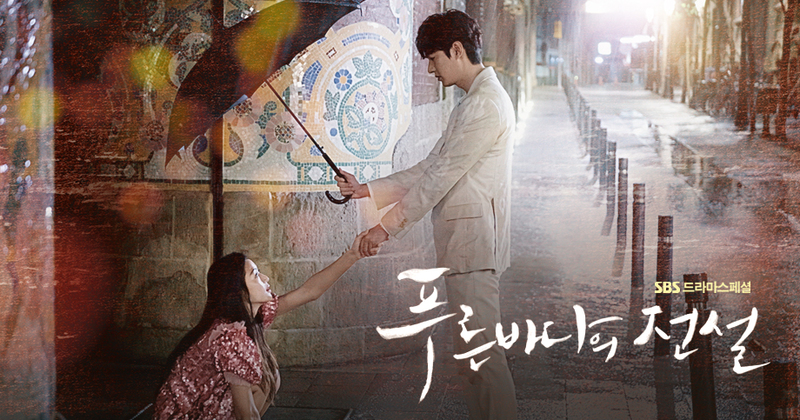 In fact, I've racked up quite a view list, especially with the currently airing dramas, and felt it was about time to share my thoughts on a few of these - The K2, Jealousy Incarnate, and Scarlet Heart Ryeo. Family's Honor (or Glory to the Family) has been on my to-watch list for literally years as the reviews are almost universally positive, but it's taken me this long to make the first foray into it. The main issues holding me back were the 54-episode length (the longest drama I've ever finished to date has been the 31-episode Queen of Reversals), and its status as a "family drama" - I can't name a single one of these that I've actually enjoyed or watched more than a few episodes of. I don't like secondary couples or side characters as a whole, since usually their only purpose is to steal time away from the leads and fill up the broadcast time slot. Unfortunately, secondary characters are basically the foundation upon which family dramas are built - each relationship needs to be given equal screentime, regardless of whether or not they're fundamentally interesting to watch, because the story length and format requires it. At any rate, I felt it was finally time to give this a try, as to be honest I've missed seeing Park Shi Hoo on the screen (Neighborhood Hero was poorly written to the point of being unwatchable). While I wanted to love this show, unfortunately it didn't repeal my disappointment in family dramas and features a cast of characters that I just can't bring myself to care for. I'm calling it quits after four episodes, and wanted to share a summary of the story and my thoughts on what I did get through. 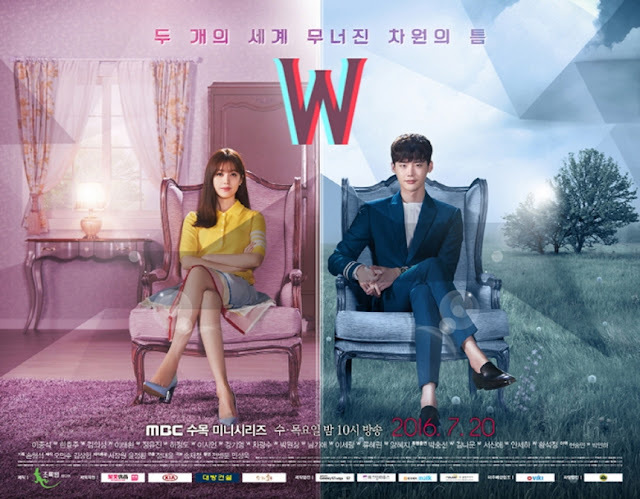 I was worried that W wouldn't live up to its hype, but the first two episodes totally met and exceeded expectations. I love nearly everything about this series so far, from the suspenseful story to the snazzy directing and perfect soundtrack. The story is the standout so far, and I'd expect nothing less from the writer of Queen In Hyun's Man and Nine. It dishes out plenty of suspense balanced with an intriguing mix of characters and perfectly placed meta references. The seemingly absurd premise of a comic book world coming to life feels grounded and thrilling, and already has me so curious to see what happens next. All in all, a very solid outing for the series. There's one awful "trend" in the Korean dramaverse that seems to have exploded this year - the casting of much younger, sometimes even below legal age actresses across from much older actors in romantic roles. This is now rampant to the point where I've nearly lost count of how many there have been in this year alone. It's also something that I'm growing ever more irritated and disturbed by, and wish will stop soon.